In the 3-11 December edition of Futbol Underground, there are still more stories that you might have missed out of Mexico in the context of the Liguilla. The Ascenso MX title was decided this week and shown on U.S. television, the arrival of video assistant refereeing (VAR) in Mexico, and the dealings of the transfer market in Mexico. Alebrijes de Oaxaca defeat FC Juarez in penalties to become the Apertura 2017 Ascenso MX Champions. Despite carrying a 1-0 lead from the opening leg at the Estadio Tecnologico de Oaxaca, Alebrijes were still significant underdogs to win their first Ascenso MX title on Saturday, December 2,. The favored Bravos piled the pressure on early and often in the match, and at times, forced current Alebrijes and former Queretaro keeper Edgar Hernandez to keep them in the match. However, the visitors had several clear chances on counter-attacks, but Juarez goalkeeper Ivan Vazquez and the posts prevented the Oaxacans from pulling ahead. Alebrijes had thought they had done enough to secure the title in the 90 minutes, but FC Juarez found a breakthrough in the fourth minute of second half stoppage time when Raul Enriquez curled an in-swinging free kick past a surprised Hernandez to level the aggregate, open the scoring in the return leg, and send the final to added extra time. And in the second half of added extra time, FC Juarez started to make their relentless pressure work. Seven minutes from the end of the final half of added extra time, Rodrigo Prieto put Los Bravos in front on aggregate score at 2-1 at the Estadio Olimpico Benito Juarez for the first time in the time when he headed in a cross from inside the six yard box. Four minutes later, Alebrijes Oaxaca drew level on the aggregate score (at 2-2) when Daniel Cervantes headed a long-throw, beating Ivan Vazquez in the process. Cervantes’ goal forced the Gran Final to be decided in penalties. In the penalty shootout, Alebrijes converted on all four of their penalties and the host Bravos fell behind on the first kick when Alejandro Berber skied his attempted conversion. After conversions by Raul Enriquez and Mario Ortiz helped to keep the Bravos into the shootout, the former Queretaro arquero parried the penalty attempt by Rodrigo Prieto to seal the title. 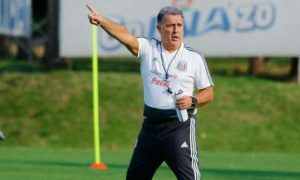 Rolando Gonzalez’s conversion for Los Alebrijes would turn out to be the penalty that would give the visitors their first title since the team’s formation in 2011. Video assistant referees will make their Mexico debut in Apertura 2018. According to a report by ESPN Mexico’s Rene Tovar, the FMF’s Sports Development Committee (CDD) has announced that video-assistant refereeing (VAR) will be implemented starting with the Apertura 2018 tournament playoffs. According to the CDD, two key moments in the quarterfinal tie between Morelia and Toluca sealed the decision to implement VAR, which debuted in the 2016 FIFA Club World Cup. Currently, only the Bundesliga and MLS implement VAR to assist their referees in tough decisions, as part of their domestic club competitions. The transfers before the Liga MX and Ascenso MX winter drafts. The winter draft is only eight days away, and teams have already been making moves. 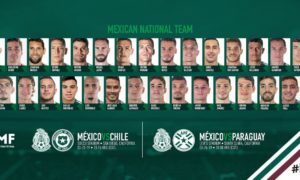 In this draft period, teams cannot make official signings from outside of Mexico who are already under contract until the international transfer window opens on around January 1. Club America could be preparing for an overhaul on Wednesday. The Coapa side could see the departure of playmakers Darwin Quintero (Millonarios), William Da Silva (Santos FC) and Cecilio Dominguez (unknown) and striker Silvio Romero (River Plate) as the start of an overhaul. 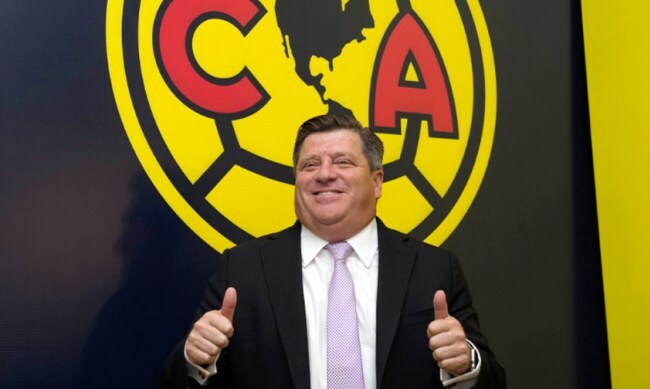 Whom Miguel Herrera could bring in may be a bigger wildcard. 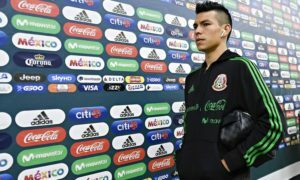 Names ranging from domestic options like Diego Jimenez (Lobos BUAP) and Gustavo Bou (Xolos) to abroad options. However, given that many of the departures might be abroad, they may not be announced until after the new year, when the international transfer market officially opens. The end of the Confederations Cup and the beginning of the expanded Club World Cup. The 2017 FIFA Confederations Cup could very well be the last, if FIFA’s expanded Club World Cup plans get the go-ahead. According to several reports, the expanded Club World Cup could take place in 2021 and feature 26 teams–12 from UEFA, 8 from CONMEBOL, and 2 each from CAF, CONCACAF, and AFC, and potentially 1 team from Oceania. 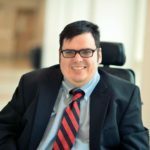 It is not surprising that with many clubs having more of a global reach than most national teams, FIFA and the continental confederations have had to cater more toward their needs. For instance, the clubs’ refusal to release players for international friendly matches has forced the creation of nations leagues to ensure that players would get called in for matches that mattered (and were not traveling beyond the reaches of their continent). But with the advent of the Nations Leagues in several confederations, the need for the Confederations Cup rankings points for teams diminishes. Teams will have enough non-friendly matches (carrying a weight above 1) to make up for the lack of Confederations Cup-weight matches. The 2021 Super Club World Cup would likely not be held in Qatar, with China as a likely candidate to host the inaugural “super” tournament. Pachuca 4, Al Jazira 1: Tuzos earn third place in spectacular style.